In the growing Indian consumer market, there is a stiff competition among companies to cater to the needs and requirements of an ever-demanding population. Though, it provides for a competitive market which keeps the product pricing in check, but the products have lost their uniqueness. We at Vatika understand that to stand out from the crowd, one has to add something extra, something that puts it on the highest pedestal. To stand apart in a cluttered marketplace, Vatika offers Lifestyle Homes, a premium residential real estate that gives its residents a unique opportunity to experience life at its best. Lifestyle Homes proffers an exclusive lifestyle with its wide array of residential apartments, ranging from compact 1 BHK, spacious 3 BHK+SR to lavish penthouses. Lifestyle Homes is a multi-storied housing community that comprises of several mid-rise and high-rise apartment buildings that ranges from G+3 to G+18. Located within the Vatika India Next township, it is situated in sector-83, Gurgaon offering great connectivity with the rest of the city. As the housing complex is in close proximity with NH-8 expressway, connecting Delhi with Jaipur, and Dwarka expressway, it also provides a unique investment opportunity. The upcoming metro rail hub and ISBT terminus near the Vatika India Next township will add great value to the residential community by providing connectivity by road and several means of public transport. Lifestyle Homes has something for everyone, and as we only live once, Vatika offers the best of everything. A variety of housing types within the complex gives the option to choose an apartment of your choice, from spacious 1 BHK apartments to grand 3 BHK+SR penthouses that will complement every aspect of your lifestyle. Apart from a wide array of apartments to choose from, Lifestyle Homes has a beautifully landscaped central park that spreads in a lavish 2 acres* that adds to the picturesque beauty of the surrounding. It also has dedicated areas for recreational, social and leisure activities that forms an integral part of a vibrant community lifestyle. Apart from various amenities that are available in the Vatika India Next township, Lifestyle Homes offers a plethora of facilities that are made available within the residential campus. For social engagements, a luxurious clubhouse offers a spacious environment for personal and community activities and parties. A brisk walk in a garden full of greenery and life that makes up the central park situated in the centre of the housing complex that spreads in a beautiful 2 acres of open space. It also provides the comfort of shopping for daily needs and more at convenient distance at the local retail outlets within the campus. For those who like to stay in shape and push their bodies to the limits, Lifestyle Homes gives you a state-of-the-art gym facilities and a swimming pool that will keep you wanting for more. These facilities will have provisions for trainers and support staff that will maintenance and upkeep of the facilities. A dedicated space for kids to play that will allow them a safe and secure environment to do what they like the most, play, have fun and enjoy. Lifestyle Homes located within the Vatika India Next township gives you a great investment opportunity in real estate and also offers a great place to live. Currently, you can book a home with us by paying 35% of the total amount in 6 months, and the remaining 65% at the time of possession. A space that complement your lifestyle, Lifestyle Homes gives you a unique opportunity to invest in residential real estate that offers great connectivity and an unparalleled living experience. For more information regarding Lifestyle Homes, a residential housing project in Vatika India Next township, visit us @ http://www.vatikagroup.com/overview.aspx?hid=1&pid=12. 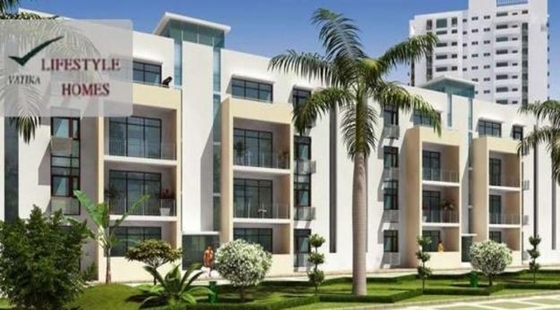 This entry was posted in Residential Property in Gurgaon and tagged apartments in Gurgaon, flats in Gurgaon, homes in gurgaon, luxury homes on May 15, 2015 by Admin.